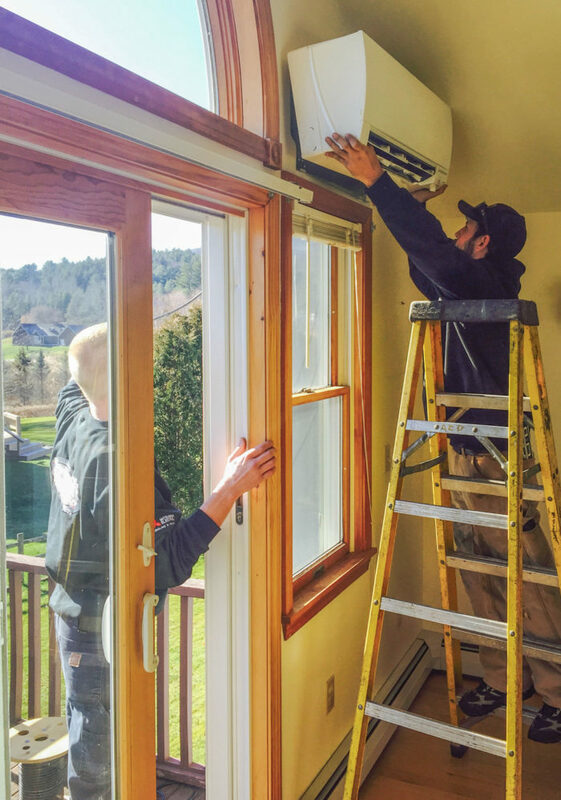 Green Mountain Power is broadening its pitch for ductless minisplit heat pumps, telling consumers they can reduce heating bills by as much as 50%. The program is now offered in every area the utility serves. Vermont’s largest electric utility is beefing up its campaign to get ductless minisplit heat pumps into the homes of more people as it expands its no-money-down pitch to consumers in its entire service area. Homeowners who sign up get a heat pump from one of three manufacturers and finance the cost of the installation over 15 years, making loan payments from $49 to $81 per month for a single-head heat pump. There is no down payment, and Green Mountain Power says that heating bills in this Climate Zone 6 state can be reduced by between 25% and 50%. Maintenance is included. Efficiency Vermont, a ratepayer-financed program designed to lower energy consumption, will chip in $600. Green Mountain Power, which has some 265,000 residential and business customers, first started a heat pump program in 2013 in the Rutland area. It had planned to include up to 200 customers, but within a week more than twice that number said they were interested. Not everyone who applied could take advantage of the program, either because their homes did not have open floor plans to encourage heat circulation or because the wood stoves they had were already heating efficiently. But by 2014, the utility was renting 150 heat pumps. Kristin Carlson, GMP’s vice president for strategic and external affairs, said in an email that the utility has now installed 1,125 heat pumps. GMP arranges for the installation with a contractor. The heat pump brand and model is chosen by the contractor; installed brands include Daikin, Fujitsu, and Mitsubishi, with outputs ranging from 9,000 Btu/h to 18,000 Btu/h. Loans have an APR (interest rate) of 10.74%. GMP says that payments will range from $49 to $81 per month, depending on the model of heat pump that’s installed. At $49 a month, a homeowner would end up paying $8,820 for a single-head minisplit over the 180-month payback period; at $81, a homeowner would pay a total of $14,580. That doesn’t include the electricity required to run the unit. Should a homeowner sell the house before the loan is repaid, GMP says it can offer a buy-out price for the heat pump, or the new owner could pick up the payments. Nearly half of all Vermonters (44.6%) currently heat with fuel oil or kerosene, according to the U.S. Census Bureau, with another 32% using some form of gas. Only 4.6% of all households use electricity for heat, and another 17% take advantage of the state’s ample woodlands and heat with wood. 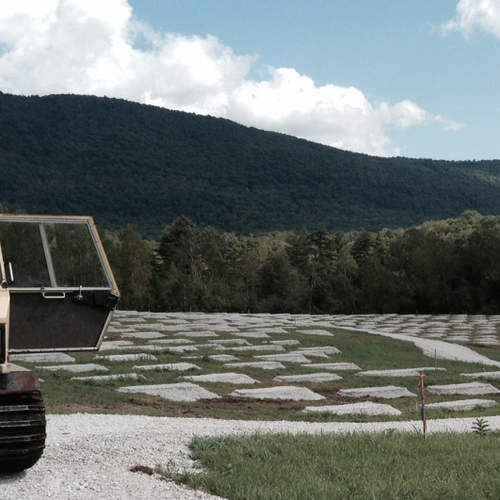 At its website, Green Mountain estimates that a minisplit would use 5,300 kWh of electricity per year. At the residential rate of 14.8 cents per kWh, that customer would pay $784 more per year for electricity. The additional monthly use of electricity — 442 kWh per month — would almost double the amount of power an average Vermont household uses, according to the website Electricity Local. But homeowners would still save money because ductless minisplits produce more BTU per dollar than furnaces that burn oil or propane, according to GMP. Carlson said that Green Mountain generally uses five-year averages for gas and oil prices to calculate savings estimates. Green Mountain’s ductless minisplit campaign is unlikely to have much of an impact on the state’s 150 oil and gas dealers, says Vermont Fuel Dealers Association Executive Director Matt Cota. A number of them already install heat pumps, and even the up-to-date heat pumps that the utility is promoting won’t be able to replace conventional heating equipment completely. 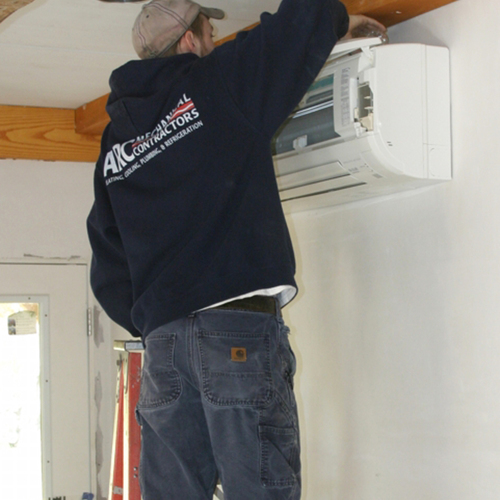 Instead, he said in a phone call, most heat pumps being installed in Vermont are going in as air conditioning units, with the heat they provide useful mostly in the shoulder seasons. When the heat pumps are “installed and used correctly,” he said, they might be able to offset as much as 30% of heating costs. 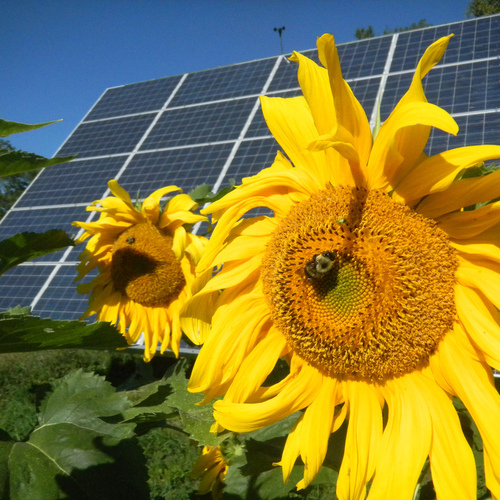 Cota also suggested the minisplit program is helping Green Mountain offset the impact of more rooftop solar. As the number of solar households goes up, and net metering payments increase, fewer customers are helping to pay for the poles and wires that distribute the power, he said. Increasing the consumption of electricity for heat and transportation fuel can help offset the decline. Grim program! Man, the numbers are gloomy. 30% heat reduction? Except for the 90 cold days? By the way total cost of the cheapest install at $49 month for 15 years is $8820, the most expensive at $81 month is $14580! The numbers are just senseless. Why aren't the numbers 65% reduction, year round heat, and $6000 total? First of all, Matt Cota's comments should be taken with a grain of salt. He's a fuel oil dealer. These ductless minisplits will work on the 90 coldest days of the year. Second, the deal includes maintenance. That's worth something. Third, this program will appeal to cash-strapped families that can't afford to pay $4,000 for a ductless minisplit. It is less likely to appeal to high-income families. Fourth, if the families who enroll in this program end up with a positive cash flow result -- and I suspect that most of them will -- they'll be happy. A higher interest rate loan for a higher risk pool. Yes, a 10.74% / 15 year loan is an expensive way to buy a mini-split, but it's still saving cash, and making it easier to spread the cost. 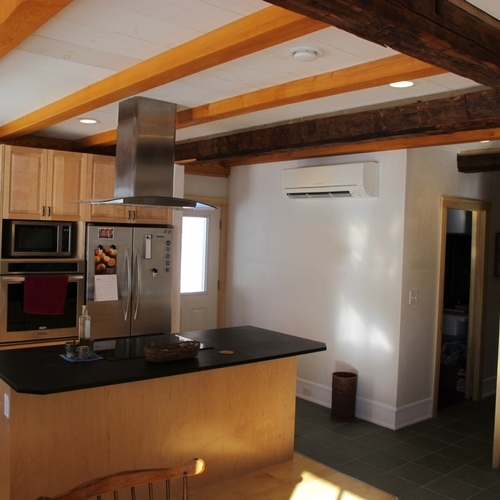 Minisplits will work on the coldest days, but for a drafty farmhouse in Vermont, the output from a couple of minisplits may not be enough to heat the house. It still may save money to install minisplits, but may be necessary to keep the oil burner for those cold days. If course it may make sense to spend money to improve the envelope, but the people this program aims at probably can't afford envelope improvements.